Rich, creamy vegan peanut butter frosting is an indulgence that goes well with just about any vegan cake recipe or any vegan cupcakes, or, make the perfect Elvis-themed vegan cupcakes by pairing this peanut butter frosting with a vegan banana cake or just use it to top a homemade vegan banana bread. Making peanut butter frosting is just as simple as a plain vanilla or a chocolate frosting, and it's something a little bit unexpected and different. 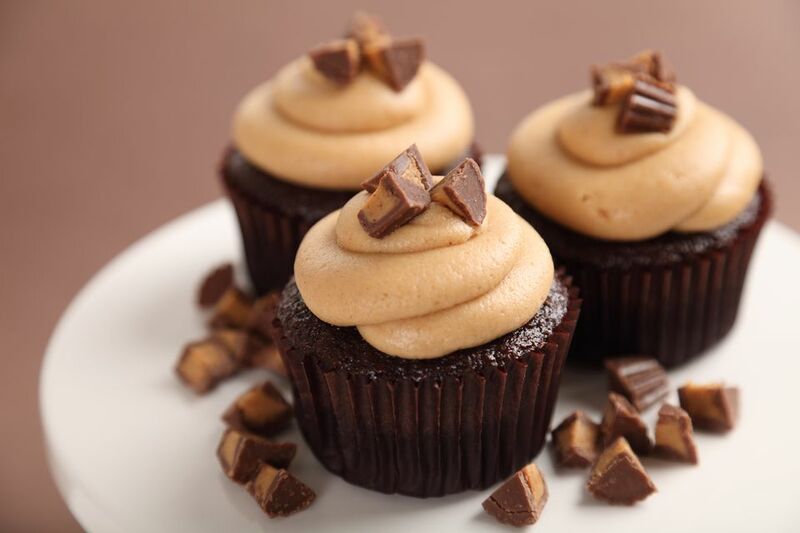 Peanut butter frosting particularly lends itself well to a vegan version, since the peanut butter brings its own flavor, and you rely a little less on the usual vegan frosting ingredients such as vegan margarine, sugar, and non-dairy milk. Whether you call it "frosting" or "icing", this one will have you saying "yum!" Enjoy your vegan peanut butter frosting! First, whisk together or blend together using a mixer all of the ingredients until smooth and creamy, adding more or less soy milk to achieve the desired consistency. Careful, though, as you don't want to add extra soy milk too soon, and add just a 1/2 teaspoon or so at a time, otherwise you run the risk of your frosting getting too thin and runny. Homemade peanut butter frosting is perfect for a vegan cake or cupcakes for the kids.